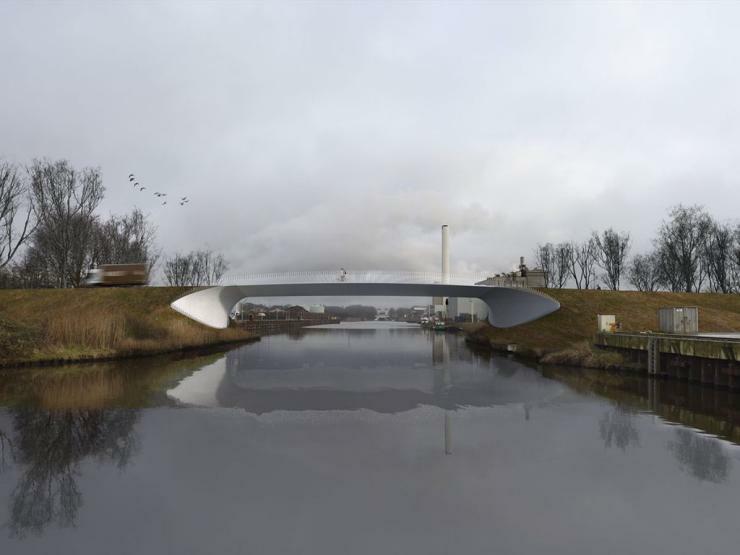 The municipality of Hengelo in the Netherlands has chosen an integral bridge for the replacement of the old Boekelosebrug over the Twente Canal. The proposal from designer Ney & Partners and contractor Dura Vermeer and was the unanimous choice of the client’s supervision team, thanks to its innovative aspects, the architectural design and sustainability factors. Six design criteria were considered in the design and build tender, including form, environment and innovation. Members of the client’s team described it as “a bridge to be proud of”, “intriguing and surprising, and stripped of all unnecessary elements” and fitting “seamlessly into the environment”. The integral bridge will be designed using ‘engineer and build in mixed reality’ (EBMR) 3D techniques, combining virtual reality and augmented reality. Consultancy Sweco supervised the tender process for the project, which has an overall budget ceiling of US$8.75 million including associated work.